The small open star cluster Pismis 24 lies in the core of the large emission nebula NGC 6357 in Scorpius, about 8,000 light-years away from Earth. Some of the stars in this cluster are extremely massive and emit intense ultraviolet radiation. The brightest object in the picture is designated Pismis 24-1. 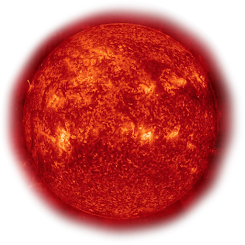 It was once thought to weigh as much as 200 to 300 solar masses. This would not only have made it by far the most massive known star in the galaxy, but would have put it considerably above the currently believed upper mass limit of about 150 solar masses for individual stars. 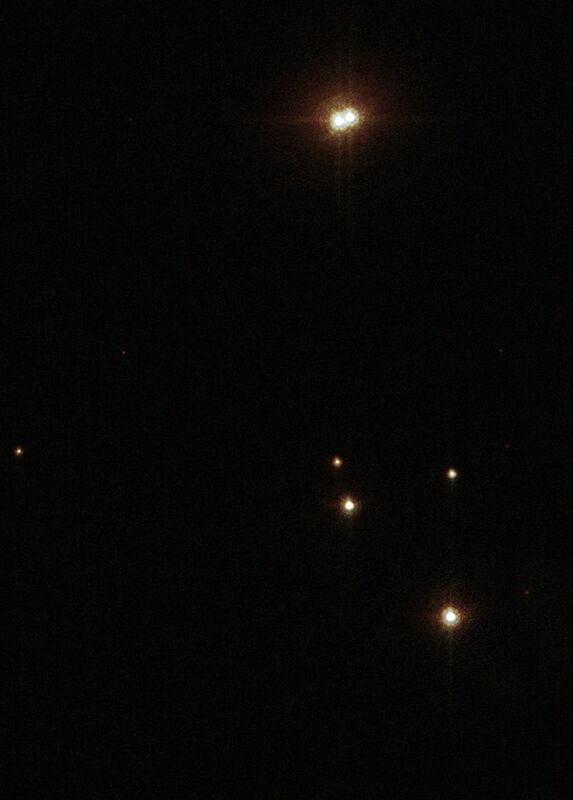 However, high-resolution Hubble Space Telescope images of the star show that it is really two stars orbiting one another (inset pictures at top right and bottom right). They are estimated to each be 100 solar masses.